Utilizing the PM4 method for our basketball team training allows us to give all of our athletes the competitive advantage on the court. Strength and Power Development have been a cornerstone of our basketball program. By emphasizing strength training with our athletes on the court they are able to become more explosive, increase their vertical (on average of 2.5” after just 10 training sessions), become more aggressive defenders, finish through contact, and decrease their likelihood of injuries. Along with that as we know many games are decided in the final minutes. Perhaps most importantly the PM4 method gives our teams and athletes an edge in their conditioning and mental toughness when it matters most. I truly respect and appreciate the staff and program the Parisi Speed School has provided for our basketball players at the middle school and high school level. I have witnessed the positive and motivating atmosphere the staff provides, as well as seen results from each player that has participated in the program. 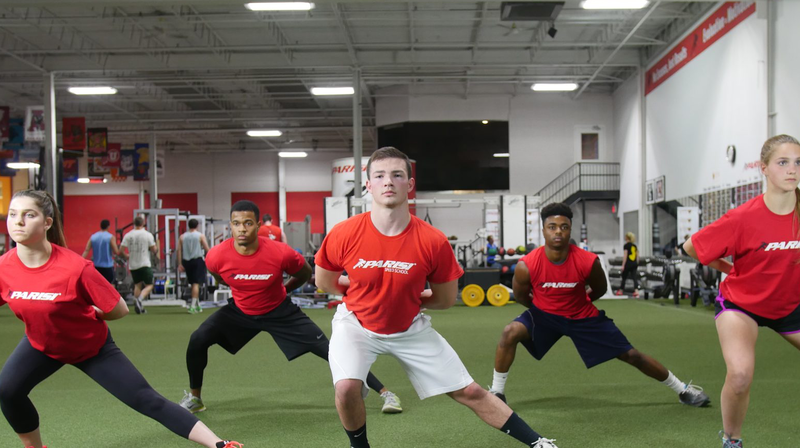 Every player that has trained with Parisi has improved their speed, strength and mobility helping them become better basketball players on the court! To LJ, I really appreciate all your hard work and pride you take in your training. One of the best trainers I have ever had. I look forward to going to Parisi every day because of how I feel when I leave. I always leave with a sense that I pushed myself, and I had trainers pushing me at the same time. The trainers are great because they care about your goals, and they will spend the countless hours to help you get there. Because of this I have improved greatly in terms of my speed and strength. Parisi has helped me to feel confident on and off of the basketball court.